The Thamel Hostel has 6 bunk beds room for ladies who want privacy, 8 sharing bunk beds room, 3 private deluxe rooms with attach bath, 3 common triple bed rooms & 2 double private rooms. 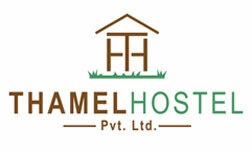 We are always looking for to provide clean rooms & comfortable beds to our clients. At the Thamel Hostel, we offer the best affordable price to our every rooms which is unbeatable in the town with best service & facilities. It is a perfect choice of stays to all the travelers in Thamel surroundings. All the rooms are well furnished, well carpeted, & western toilet with 24 hours hot and cold water running. Sharing Beds: 6 Bunk Beds (Only for ladies who want privacy). Carpet on Floor, Fan, electrical adaptors each bed, safe locker, welcome drink, attached Bathroom, 24 hours hot and cold water running, Mosquito Coils, daily newspaper & wireless free Wi-Fi & Back up light facilities while no electricity in town. Carpet on Floor, Fan, electrical adaptors each bed, safe locker, welcome drink, common Bathroom, 24 hours hot and cold water running, Mosquito Coils, daily newspaper & wireless free Wi-Fi & Back up light facilities while no electricity in town. Parquet on Floor, Fan, electrical adaptors, safe locker, welcome drink, attach Bathroom, 24 hours hot and cold water running, Mosquito Coils, daily newspaper & wireless free Wi-Fi & Back up light facilities while no electricity in town. Parquet on Floor, Fan, T.V, electrical adaptors, Table Lamp, luxurious bedding, safe locker, welcome drink, attach Bathroom, 24 hours hot and cold water running, Mosquito Coils, Work/ Writing Desk & chair, daily newspaper & wireless free Wi-Fi & Back up light facilities while no electricity in town.